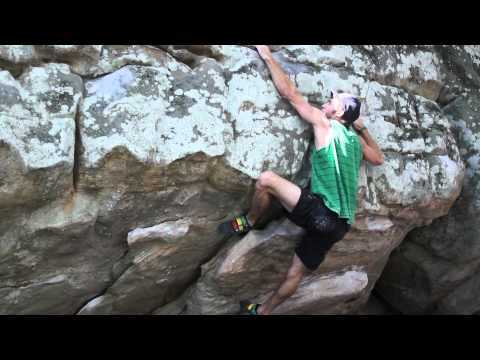 A quick edit of a few boulders being climbed during the Triple Crown Bouldering Series stop #2 at Stone Fort on 10-13-12. It was a rough day due to the hot and damp conditions but we made the most of it. Climbers include Daniel Woods and Jimmy Webb. Problems included: Flying High V11, Robbing the Tooth Fairy V9, The Law V11, Dragon Slayer V11, King Cobra V10, Biggie Shorty V10, Bosley Traverse V9 and an attempt on Tall Tee V13.